A few years ago, I had an opportunity of visiting the Netherlands by road from Belgium. Both countries are rather small and this is an easy journey. 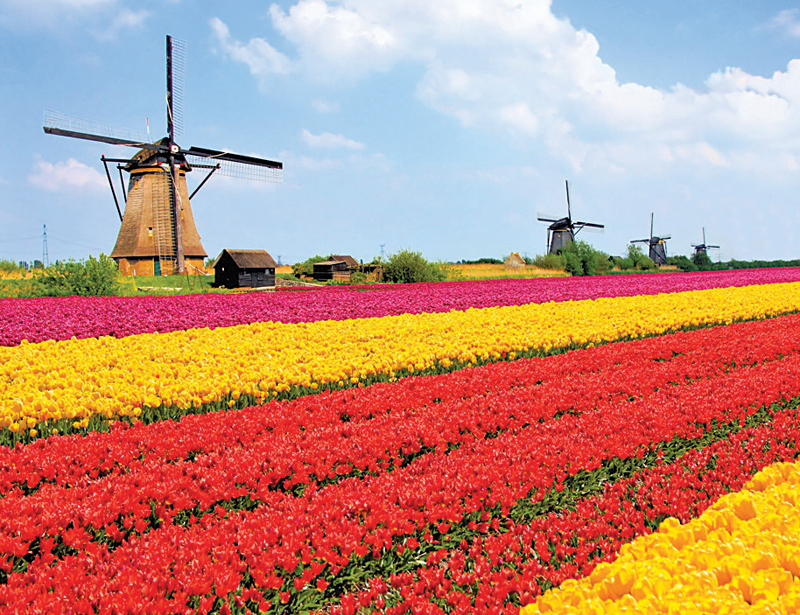 The Netherlands, also known as Holland, is well known for its tulip fields, windmills, dykes and museums. Of course, one cannot forget the link to Sri Lanka – The Netherlands controlled parts of Sri Lanka after gaining power from the Portuguese, but their reign came to an end with the arrival of the English in 1796. There is a unique trait about the Netherlands – much of the country is located below sea level and flooding used to be a common occurrence. In fact, the very words Netherlands mean “lower lands or countries”. The Dutch built a series of dams (or dykes as the Dutch call them) to ward off the flood threat from the sea. This engineering marvel is only equaled by the windmills, which are dotted throughout the Netherlands. Long before electricity came along, these acted as a source of power for agriculture and several other activities. Any visit to the Netherlands usually begins at Amsterdam, the Dutch commercial capital well known for its network of canals, bridges and bicycle lanes. It is a bit like Venice in Italy, but with a bigger area of land. Amsterdam which literally means “the Dam in River Amstel” has two UNESCO World Heritage Sites – the canals and the Defence Line. Amsterdam is one of the most beautiful cities in Europe and in addition to the intricate network of canals, it is home to several world famous museums. Do not miss artist Van Gogh’s museum, the Amsterdam Museum and Anne Frank’s House (the girl who wrote a World War II diary). Visitors can also tour the Amsterdam Stock Exchange, the oldest in the world.